Halloween is just around the corner and it can be a scary time for little ones. Not all programming this time of year is family friendly, and the idea of monsters can be too much. Luckily, Disney Jr. has come up with a show that is both spooky and fun for every season. What better way to celebrate than with the adventures of Vampirina as it comes to DVD on October 17th! This DVD is packed with laughs, new characters to cherish, and heart. 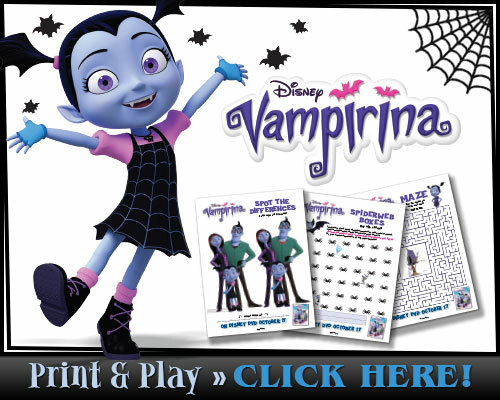 Vampirina is a must-own for the entire family! The DVD includes four 22 minute episodes, and arrives just in time for the spookiest season of the year! We have been watching Vampirina since if first aired on Disney Jr. and have loved every episode. Vee is the new girl in town, and struggles with fitting in as any child would in her situation. The comical elements of the show are the ways that Vee and her family are different. I mean, how often do kids have to worry about their dog turning into a werewolf during a sleepover? While the storyline is farfetched, it is definitely relatable for any kid who has worried about being different and wanting to be accepted. Vampirina is the kind of show you can watch and love all year long. I'm still singing the theme song as I write this! If you love Vampirina, check out my other recommendations for Family Friendly Halloween Movies.